Our brand is available for 25 years! We are togheter since 1989. A company „P.H.Z Kasol – J.A. 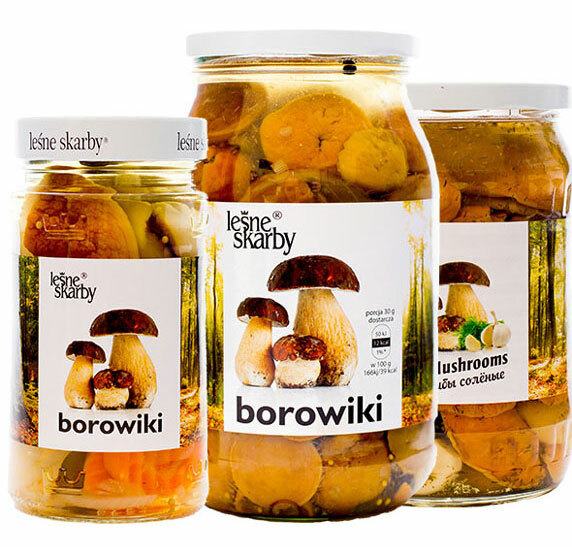 Kazberuk” is a market leader in purchase, manufacture and trade of undergrowth like mushrooms, blueberries and farming mushrooms. Our brand „Forest Treasures” is the most valued and available in Poland. You can find the „Forest Treasuers” in most of shop centers and wholesaler’s. Our brand is available for 25 years! We are togheter since 1989. Our products are also very popular in many other Western Europe countries (Germany, Austria, Switzerland, France), South Europe countries (Italy, Spain, Portugal) Nasze produkty są również powszechnie dostępne w wielu krajach europy zachodniej ( Niemcy, Austria, Szwajcaria, Francja) , południowej ( Włochy, Hiszpania, Portugalia ), Scandinavian countries ( Denmark, Sweden, Finland, Norway), Eastern Europe countries ( Ukraine, Belarus, Russia ). We get to Great Britiain, Benelux, USA and Canada. The farest places where you can find Forest Treasures are Japan, Australia and South America countires. Thanks to our company many people all over the world had tasted tradition, polish products.